Just as my Christmas LUSH stash was dwindling away, Valentine's Day appears around the corner. We've made it to February and know one does Valentine's Day better than LUSH. If you have a partner or not, a few festive goodies from LUSH will always be the perfect pick me up. Of course whenever LUSH have a new range in, I can't help but go and stock up my stash. This year I didn't go all out, I wanted to just try some new ones I haven't before and a couple trusty favourites. 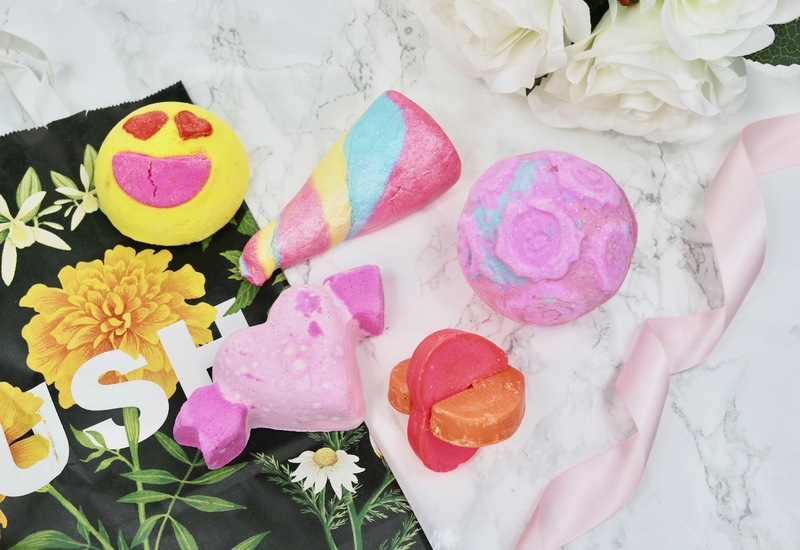 The first goodie I picked up was the Unicorn Horn Bubble Bar. This is THE cutest, most magical thing I have ever seen, it's like it fell right out of a fairytale! 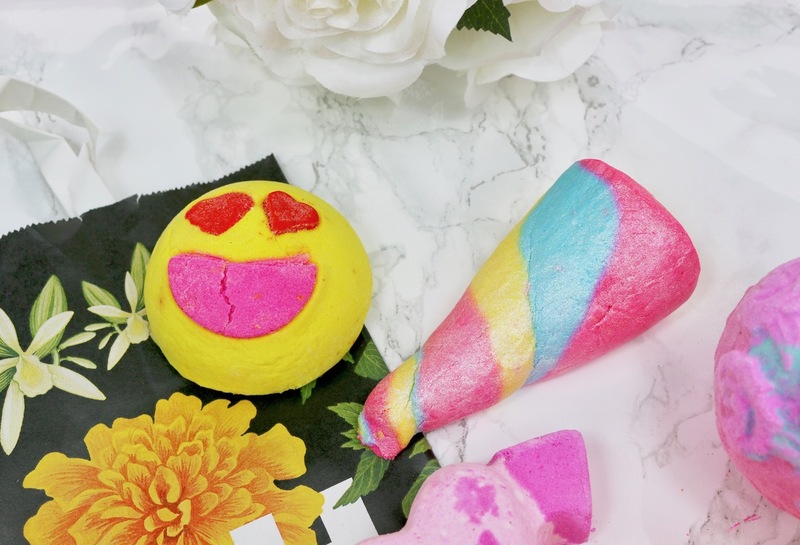 What more could you want from life than a multi pastel coloured swirled, shimmering bubble bar shaped like a unicorn horn!? (maybe a new figure, lifetime supply of chocolate and a designer wardrobe...). The little girl inside me just had heart eyes as soon as I saw this. Bubble bars are probably one of my favourite things to get from LUSH. There's nothing better than running a hot bath filled with mountains of bubbles and a gorgeous scent to get you feeling relaxed. The Unicorn Horn Bubble Bar is filled with lavender oil that will see you feeling relaxed and calm. The ylang ylang and neroli oil will brighten and uplift any mood. The next thing I picked up was the Lovestruck Bubble Bar. This year LUSH have bought into the whole emoji craze with this little heart eyed cutie. Immediately this caught my eye and I had to give it a sniff. Lovestruck is right up my ally, it's a beautiful blend of lemon and geranium - a real citrus treat! I think this is going to be the perfect pick me up. The refreshing scent, the soothing bubbles and the adorable heart eyes will leave anyone feeling upbeat and uplifted. Next on my list is the Cupid Bath Bomb. Now this just has Valentine's Day written all over it. This would make for the perfect gift. The scent is sweet and delicious, it kind of reminds me of those little parma violet sweets. I haven't tried this yet, but I've read this leaves you with gorgeous frothy pink waters with a raspberry, lime and rose scent. Another newbie to my LUSH collection is the Two Hearts Beating As One Bath Melt. This screams Valentine's Day! This would be the perfect little treat for a romantic Valentine's bath for two! To use this, you can just pop in half (or as much as you like) to your bath and it will begin to melt and leave you with the most glorious softening and moisturising waters. 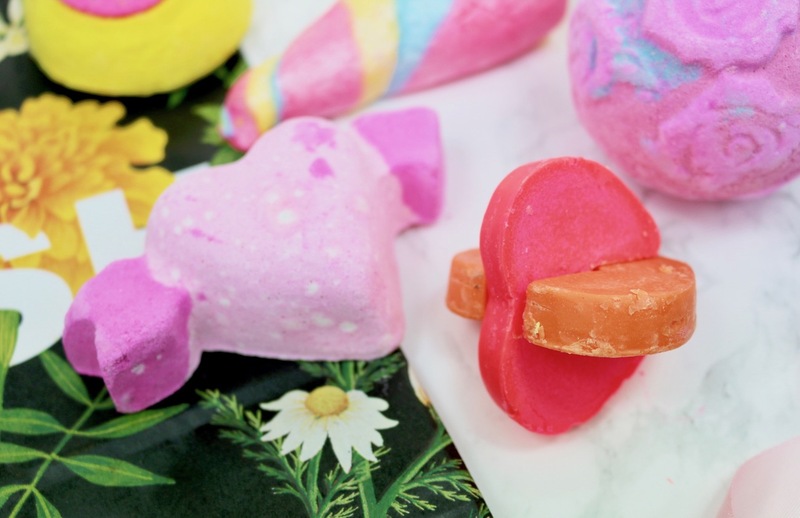 I don't use bath melts that often as I like to save them as a little treat to myself, when I really need to relax unwind and take some me time (they're perfect for a romantic bath for two also!). Two Hearts Beating As One has a strong floral rose and ylang ylang scent, you'll feel like you're at the spa! 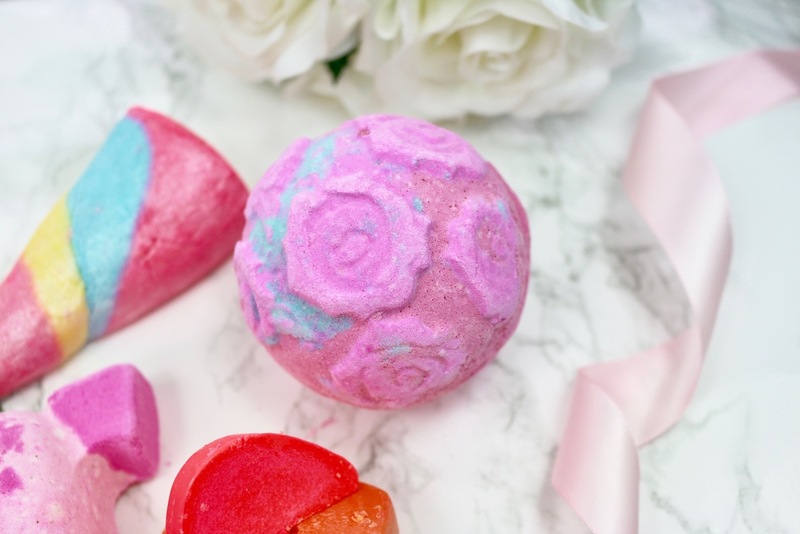 Last on my list is the Rose Bombshell Bath Bomb. Now I'm not that into the floral scents but I seem to have picked a few up. Rose Bombshell of course has a floral rose scent but with a bit of sweetness. I haven't used this yet, but I think this is going to be a real treat. It will leave your waters a gorgeous shade of pink with a trio of rose petals floating around - how romantic! Rose Bombshell would make for the perfect Valentine's gift. This year LUSH have really done well with they're Valentine's range, I'm pretty proud of myself for only picking a handful up. I'm sure I will be in again before the big day, so let me know what your favourite Valentine's LUSH goodies are beauties? I haven't bought anything from the Valentine's range this year, but everything looks amazing!